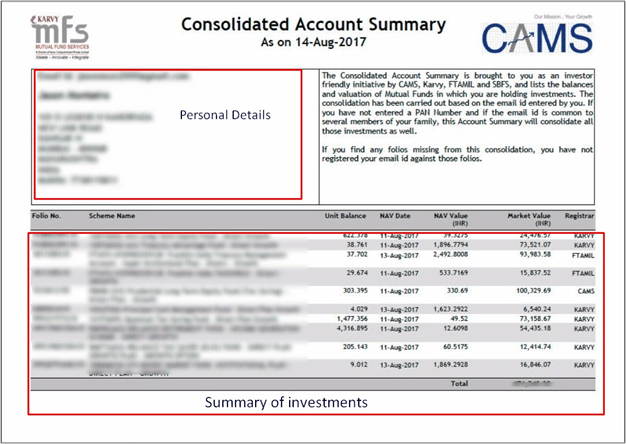 Mutual Fund Statment | Consolidated Account Statment | How to get CAS? When it comes to mutual funds, it is important for investors to be aware of the performance of their funds. in March 2015, the market regulator SEBI instructed depositories to take the onus to consolidate all investment information of an investor based on their unique Permanent Account Number (PAN). Following the amendment, all investors are eligible to receive a Consolidated Account Statement (CAS) once every month either by e-mail or post. A CAS is one document that captures the details of transactions and investments across mutual funds that an investor might have. What is a Mutual Fund Statement and How to Check It Online? A mutual fund statement is like our bank account statement, which gives you a complete summary of your investments. A mutual fund statement will have your personal details like such as name, address, PAN, email ID, mobile number and nominee/investor details. If there is an additional mutual fund account holder it will show all details of the other holders as well. You get a folio number that can be used to check fund in case of any problems or any queries. In this statement, you will find the name of the investment scheme, the category whether a growth or dividend plan, number of units you hold, NAV, current value, cost of investment and dividend earned. Net Asset Value (NAV) denotes the performance of a particular scheme of a mutual fund. NAV is the market value of the securities held by the scheme. The Mutual Funds invest the money collected from investors in securities markets. Since the value of the securities changes every day, NAV of the scheme will also vary on a daily basis. Unlike stocks (where the price is driven by the market and changes from minute-to-minute), mutual funds don’t declare NAVs through the day. Instead, NAVs of all mutual fund schemes are declared at the end of the trading day after markets are closed, in accordance with SEBI Mutual Fund Regulations. The statement will also have your bank account details. 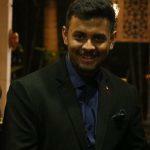 This is the account in which the money will go on redemption of the mutual fund. It will also have details of the broker or advisor from whom you have purchased the mutual fund. What is the Consolidated Account Statement (CAS)? There are a lot of mutual fund investors who do not invest in a systematic manner. They accumulate many schemes over a long period of time. For such investors, there is a Consolidated Account Statement on which they can review their portfolio. Consolidated Account Statement (CAS) is a single/combined account statement which gives the details of financial transactions made by an investor during a month across all Mutual Funds and also other securities held in dematerialized (Demat) mode. CAS is issued for those folios/accounts wherein a financial transaction has been made during a month and wherein unitholders are identical, identified by Income Tax Permanent Account (PAN). A CAS also captures personal details such as contact number, bank account details, nominee registration status, investor’s registered email ID and KYC status. CAS is generated on a monthly basis in respect of the PANs common to the RTAs and the Depositories. It carries information about your sales, purchases and other transactions in mutual funds. This also allows you to track the mutual fund performance without hunting on your old files. One of the most important features of CAS is that it captures all transactions (such as new purchase, SIP registration, additional purchase, redemption, switch in, transfer) conducted during the month in different funds by the investor. The CAS also details the complete list of holdings irrespective of the fact that a transaction has been conducted or not during the previous month. In addition, CAS also shows opening and closing share unit balances for each portfolio along with details such as mode of holding units (single, joint, anyone or survivor, etc. ), ISIN for each scheme is mentioned. 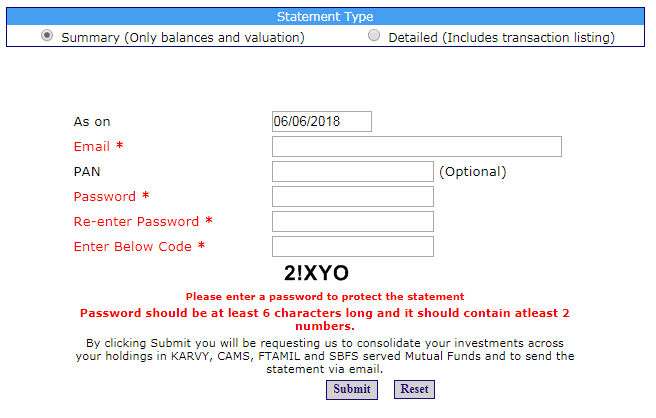 How to check mutual fund statement or CAS online? It becomes tedious for an investor to monitor various schemes. Individuals, therefore, invest through various brokers and advisors from time to time. Some offer online portfolio facility whereas some opt for the traditional form-filling route. Some units are held in demat accounts. The ultimate outcome is no single window view of your mutual fund portfolio. To overcome this issue it makes sense to request for consolidated mutual fund account statement online in just five steps. Registrars such as KARVY, CAMS, FTAMIL, and SBFS have provided convenience to investors by allowing to consolidate the holdings within the verticals of each of their funds. 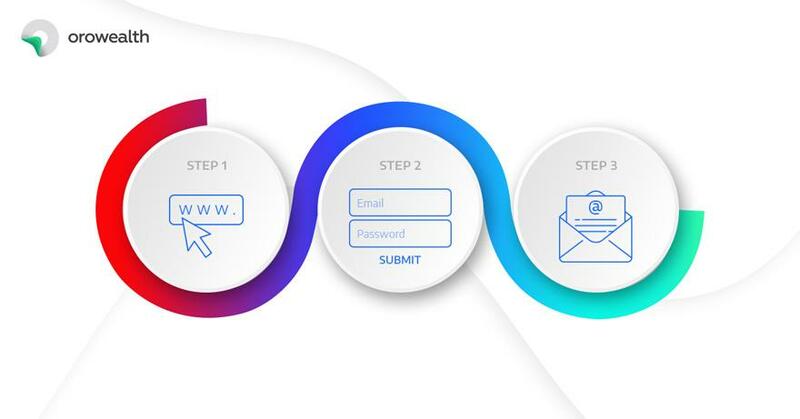 Should you wish to obtain CAS from Karvy, you could visit http://karvymfs.com/platformservice/ and key in your registered email id along with PAN and self-secure the document with a password (to open and view the statement, you will be required to provide this password). The following is a screenshot of the interface for generating CAS from Karvy. You will receive your statement via email within an hour. Please use the password you provided to open the statement. You can also request a single folio statement by choosing ‘Single Folio Account Statement’ instead of ‘Consolidated Account Statement’ from the list on the site. Selecting a detailed statement type will provide the investor with transaction listing for each transaction across schemes and fund houses. On the other hand, the Summary statement only provides the balance as on date which is selected. The depositories like NSDL or CDSL dispatches or generates CAS to the investors, in respect of the PANs that are common across RTAs and the Depositories. The Asset Management Companies (AMCs) compute CAS on the basis of transactions and holdings of an investor’s demat account held by NSDL and CDSL. A demat account holds all the shares that you buy in dematerialized or an electronic form. Just like your bank account holds cash, a demat account holds the certificates of your financial instruments such as shares, bonds, government securities, mutual funds, and exchange traded funds (ETFs). In respect of mutual fund folios where there is no common PAN between the RTAs and the depositories, the CAS only contains mutual fund transactions. • Purchases made by you and transactions related information like merging or witching of funds, payment of bonus and dividends. The (ISIN) International Securities Identification Number is a 12-character alphanumeric code used for trading and settlement purpose. It also identifies equity, debt or other securities. Consolidated Account Statement allows investors to understand the financial condition of the company. It gives investors clarity about the fund and you can decide to choose a fund house or company, based on the info on CAS. It tells you about the company’s ethics and standing, which is helpful for both investors and vendors. You now can reach to a conclusion by looking at the performance of the scheme against the benchmark and the category average. Since the financial data is available online at one place and digitalisation being the thing in every industry it has helped in minimising the paperwork. The investor is well informed about how the fund is performing how the company and its subsidiaries is performing as well in short term as well as long term. A CAS combines information of all companies’ assets, liabilities and income. When an AMC consolidates information pertaining to a fund, it can also hide the profit or loss. This could be because the statement shadows the inter-branch transactions and shows only the consolidated financial statement. Just like your bank account number, a Folio number is your Account Number in a Mutual Fund Scheme, under which yours Unit holdings in a mutual fund scheme are recorded in the Unit Holders’ Register. Mutual Funds in general allot a Master Folio number, so that Unit holdings of a unit holder (or same set of unit holders, in case of joint holders) are shown under a common folio number thereby avoiding the need to remember multiple folio numbers. CAS for financial transactions done during each month is sent by 10th of the following month. DOES AN INVESTOR GET AN INDIVIDUAL STATEMENT FROM THE AMC? In respect of mutual fund investors who have registered their e-mail, the respective Mutual Funds send a PDF of account statement within 5 working days after each financial transaction. However, the investors who haven’t registered their e-mail ID will get only the monthly CAS.